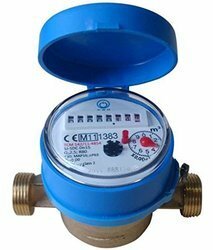 Banking on our enriched industry experience, we are able to supply DASMESH Domestic Type Water Meter. Totalliser can be oriented around 360° for easy reading. With an aim to stand tall on the expectations of our esteemed clients, we are providing Dashmesh Water Meter. We are a well known organization involved in making supreme quality of Dasmesh Water Meter & Kranti Water Meter. Quality Water Meter for accurate reading. Available in all sizes. Our company offers domestic single jet water meter in 15 mm - 20 mm (1/2" - Â¾") measure.These meters are super dry and have straight reading type format. These are hermetically sealed water meter with magnetic drive. 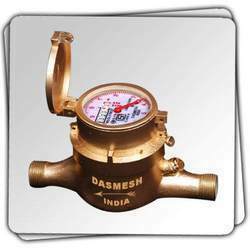 Our reputed entity is engaged in supplying Dasmesh Magnetic Driven Single Jet Water Meters. We are amongst the most reputed names in the industry, offering Dasmesh Water Meter. We are a top notch supplier of Dasmesh Water Meters. Enriched with vast industrial experience, we are involved in offering Dasmesh Water Meters. Enriched with vast industrial experience, we are involved in offering Dasmesh Water Meters Dirt Box (Trainer'T' Type). With vast knowledge we are involved in offering a premium quality range of Dasmesh Water Meters. - AVAILABLE SIZES : 1/2", 3/4", 1", 2", 3", 4"